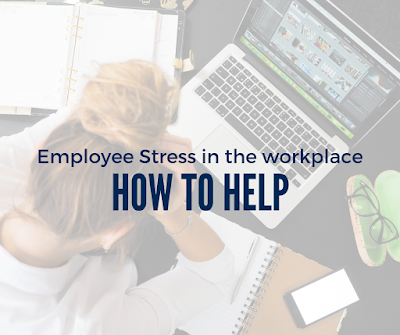 While every employee experiences job-related stress at one point or another, too much stress in the workplace can lead to the development of serious mental health problems, such as depression or anxiety. And recent data from the HSE revealed that this problem is far too common. In fact, stress, depression and anxiety account for over 40 per cent of work-related ill health complications, with 15.4 million working days lost in the past year as a result. Further studies by the HSE found that the top causes of work-related stress, depression and anxiety include a heavy workload, lack of support, workplace changes, and violence, threats or bullying. Industries with the highest rates of stress, depression and anxiety are education, social work and public administration. Discuss demands — It’s crucial to ensure your employees can cope with the demands of their position. Have a conversation with each employee to determine if the demands of their job are achievable and if their skills and prior training prepared them for their title. Provide support — As an employer, make sure your organisation’s management offers quality support to employees. This includes holding routine one-to-one meetings to discuss work-related issues, offering stress-relief activities and sharing support resources. Foster healthy relationships — Your organisation should have policies in place to prevent unacceptable behaviours, such as bullying, as well as proper procedures for handling conflicts. For more guidance, have a look at the HSE’s Stress Talking Toolkit.